So I am back with anther review from Shielo!! This time it is on there Leave In Spray Protectant. I’ve actually used this product in the past and just revisited it recently. For me this is mainly to protect my a=hair during heat styling. It is a really amazing spray to use when I want a very light and fluffy blow out, and won’t weigh down my hair like creamier products tend to do. I also like using this spray when I am doing some kind of roller set, where I sit under a hooded dryer. It offers up a nice shine while protecting my strands. 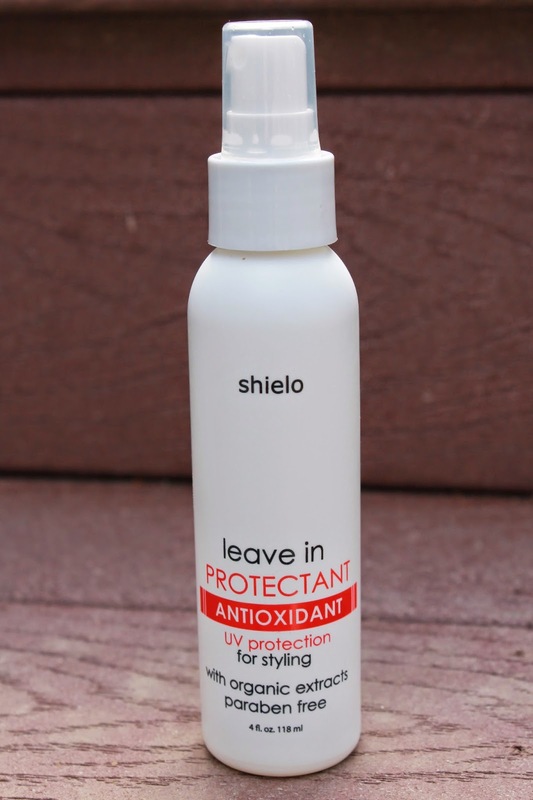 Here are the products claims: This antioxidant rich leave in protectant is designed to fortify every strand of hair, creating texture, as well as protect your hair from the stress of heat styling. Our unique protective complex with pro-vitamins, proteins and amino acids infuse hair with vitamins while providing UV protection. For deeper natural and color-treated hair color. Excellent in controlling frizz and detangling. Which I must agree it does fully live up to their claims. If you are looking for other uses for this products besides heat styling, I would recommend spray on your hair before going out in the summer to protect your hair from the UV rays, especially if you have color treated hair. If you interested in trying this product out make sure you check out the Shielo website.